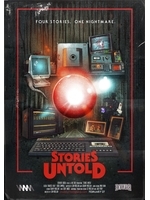 Stories Untold is an experimental text adventure game that comiles 4 short horror story. It is available now on Steam, GOG, and Humble with 15% off the first week. seems cool, will buy when it doesn't cost the same as full fedge games, instead of small made "scripts".